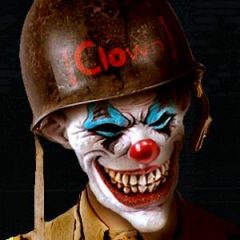 decided to postpone adding the new maps to the [CLOWN] server until next Saturday to give people time to get the map pack. If you have not done so already, please download the TIME clan map pack (below). If you don’t have winzip or don’t know how to use it, just right-click here, select Save Target As, and save time_clan_map_pack_v3.pk3 into your MOHAA /main/ directory. Also be sure to get the new member skin pack from the skins page or right-click here, select Save Target As, and save clown_member_skins_v2.pk3 into your MOHAA /main/ directory.